SMARTair® from ASSA ABLOY is the wireless access control system built on years of experience, serving security needs across all verticals, including the education sector. On a daily basis, schools attract thieves and unwanted intruders. One report suggests almost half of UK schools experienced technology theft in the last three years, for example. Computer theft from schools is so prevalent, even the World Bank has addressed it. Better security and access management, of course, is the solution. Security is also an enabler for innovation. Without flexible security, developments in technical education like BYOD (Bring Your Own Device) — currently being trialled in Austria and Estonia — cannot take off. In an ideal world, top-of-the-range access control would be standard for all schools. But challenges persist. 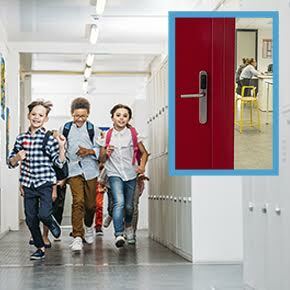 Doors in schools perform many different roles: some handle high traffic (the main entrance), while others see little daily use. Most school managers are non-technical; they may want to embrace new technology but do not know exactly where to turn. The wrong system could demand time-consuming administration. And, of course, budgeting looms over every decision. Is electronic access control the answer? Without appropriate security, no school ensures student safety. The UK’s national school inspection body, Ofsted, actively checks a school’s access system. It underlines the importance of reliable access control, including anti-intruder measures, protection against vandalism, and in disaster scenarios, automated evacuation or lock-down. With so many doors at a typical site, mechanical key management is laborious. A large high-school keeps track of keys for the entrance, classrooms, laboratories, AV rooms, drama studios, IT and server rooms, offices, the library, gym, canteen and kitchen, medical rooms, student locker bays, staff rooms, and maintenance rooms. The key-tracking workload is enormous. Why not replace it with one, intuitive software interface? Electronic access control dispels the shortcomings of lock-and-key security. With key-cards instead of mechanical keys, it’s easy to cancel a lost credential immediately and efficiently. Providing access to a new site user, or removing permissions from a departed staff member, is straightforward. If an incident occurs, administrators collect an audit trail for any door or user via the software. Advanced features like real-time control become possible, with the right system. Electronic access control enables security managers to program fine-grained access permissions for every user. So, for example, the school director has blanket all-areas access from a single RFID card, while maintenance and security staff are excluded from management offices or sensitive data stores. Teachers and cleaners hold time-based permissions, so they only enter during their individual working hours. Such precision is near-impossible with mechanical security. SMARTair® wireless access control system is designed for schools. With intuitive management software, credentials and battery-powered locks in many configurations, it is easy to install and convenient for non-technical staff to use. The system can handle a large number of users and logs every interaction, so incidents are investigated efficiently. The system is more cost-efficient to run than wired access control or traditional mechanical security. Doors require minimal alterations when SMARTair® battery-powered devices are fitted, because there is no wiring around the door. A lost card is much cheaper and less hassle to replace than any physical key. There’s no need to change the locks, merely to delete a card’s authorisation from the system. When needs change, it’s easy to extend coverage to more locks or combine offline and real-time online functionality within the same installation. 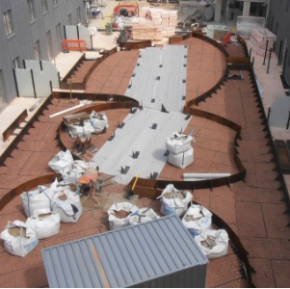 Accessible from a PC, tablet or mobile device, the software puts site managers in total control. They check door status at a glance. Profiles can be created for different user groups — teachers, cleaners and office managers, for example — and state tables allow doors to switch between open access and card/PIN control at different times of day. It’s equally easy to manage more than one installation from a single interface — for example, if an administrator manages multiple sites or federated schools. 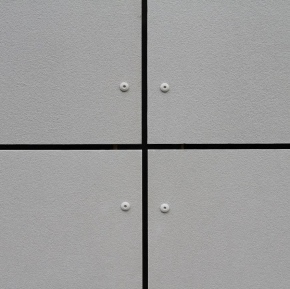 Features can be tailored to every building or door, as required. For example, opening times can be longer for disabled users or privacy overrides enabled at selected doors. Thanks to reliable audit capabilities, SMARTair® software can double as your automated roll-call system. SMARTair® devices fit many kinds of opening. Battery-powered escutcheons are a robust solution for most doors — and offer an optional PINpad for extra security. SMARTair® wall readers protect higher-security openings and high-traffic environments, like exterior doors and parking areas. 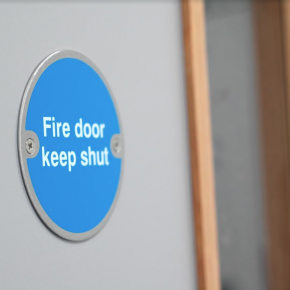 Wall readers also suit doors fitted with a fire alarm — science labs, for example. And SMARTair® secures more than just doors. For lockers in communal areas or changing rooms, SMARTair® cabinet locks with integrated RFID readers work within the same system. So, a programmable card that unlocks the main door can double as a locker key. The same credential can make payments in the canteen. And so on. In Denmark, Vejle Friskole saved a huge amount of time switching to SMARTair®. Key management was eating up ‘a very long time, approximately 5 hours a week,’ explains Henrik Kækel, the school’s Technical Service Officer. Now mechanical keys have been replaced, and over 80 doors and cabinets are secured by SMARTair® devices. Today, Vejle Friskole staff spend around five minutes a week managing their access system. 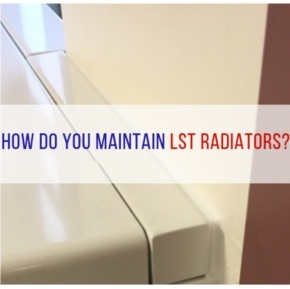 At Lycée Kreisker, in France, school managers faced a similar dilemma. How to replace an existing, stressful solution which involved managing two separate key systems? Security was paramount: any access system must ensure the safety of 2,500 staff and students and meet France’s tough school security regulations. SMARTair® readers now control access through the main gate – every school’s critical first line of defence. Classrooms are locked with wireless escutcheons. Non-technical, in-house staff carry out basic administration via the easy-to-use SMARTair® software. System configuration is affordably outsourced. So, for example, doors can be pre-programmed to remain open between 9am and 5pm but require a credential for out-of-hours access.